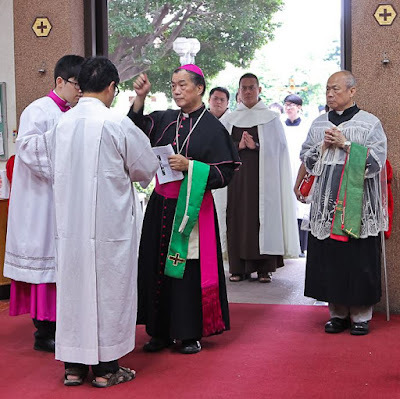 Last July 19, the Communitas Missae Latinae Taiwanesis (CMLT), the Latin Mass group in Taiwan, was formally inaugurated at the Shrine of Our Lady of Mt. 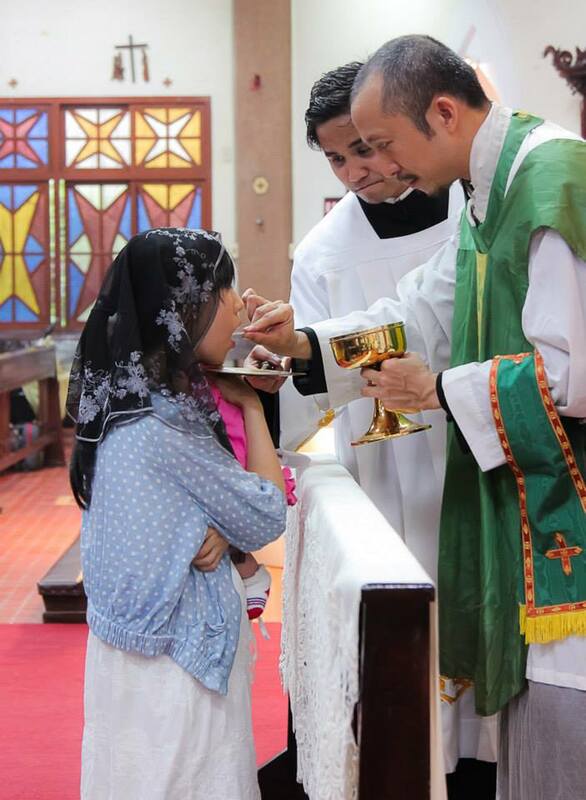 Carmel (DongNan Church) in the Diocese of Hsinchu, with the celebration of a Mass in the Presence of a Greater Prelate. 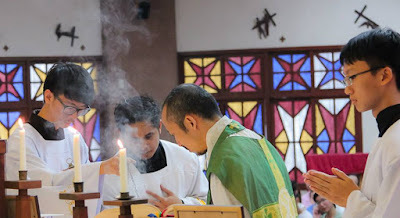 Due to lack of priests who can celebrate the Extraordinary Form, the liturgy was a Missa Cantata, and was attended by the Bishop Emeritus, Most Rev. James Tan-kuei Liu. 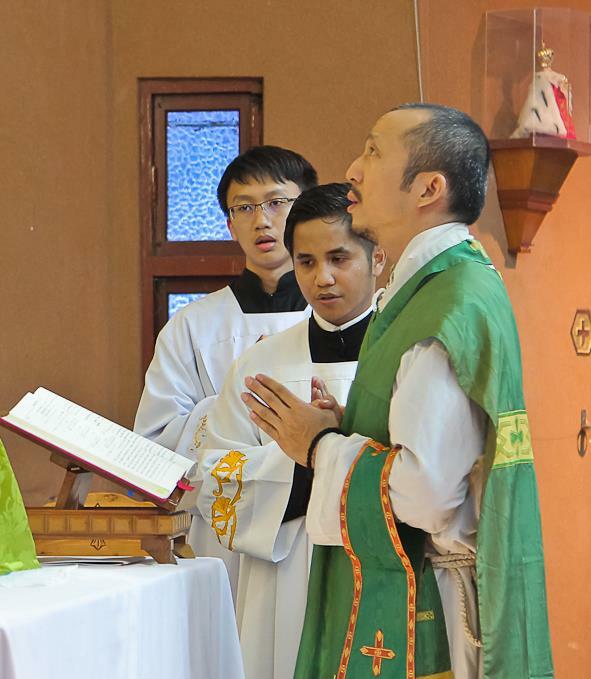 Under the auspices of the Discalced Carmelites Friars, the group has found its home in Mt. Carmel. 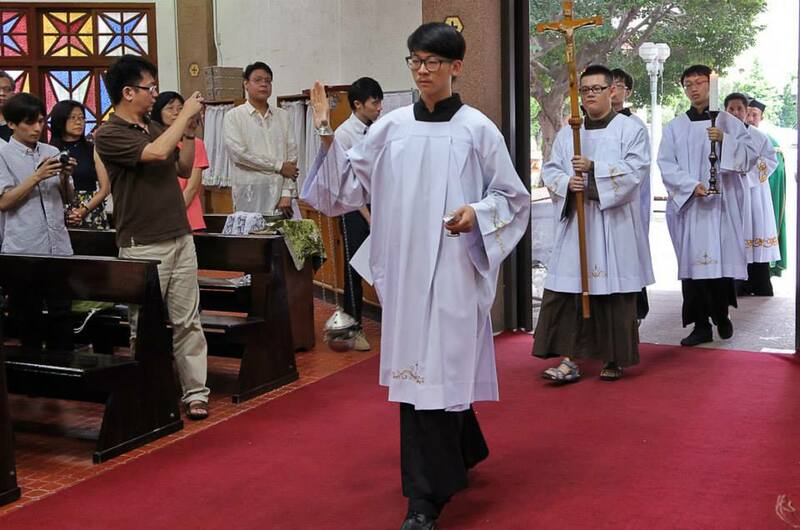 Assisting were the Fujen Catholic University Music Department and Tridentine Liturgy Community of Hong Kong. 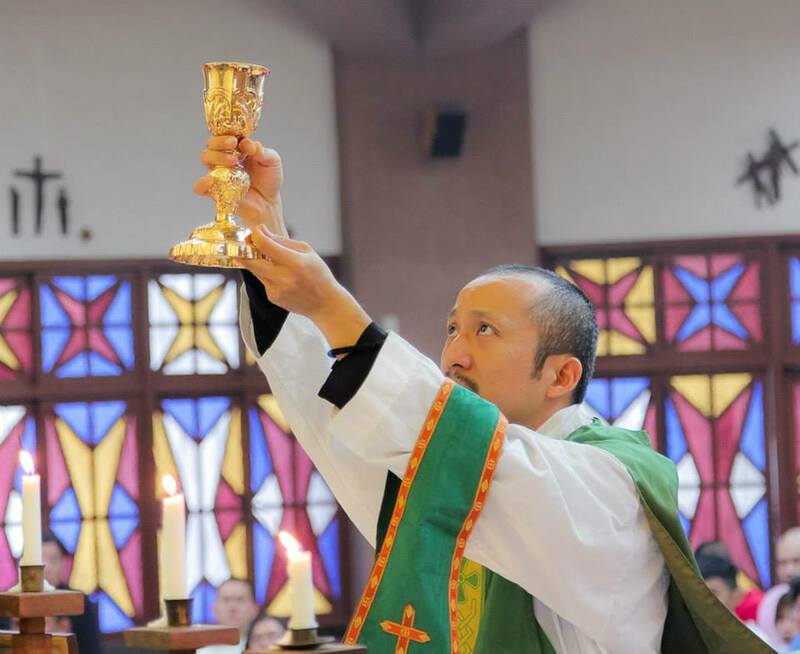 The Mass was well attended not only by the parishioners from the diocese, but also from the different dioceses of Taiwan, as well as some friends from the Presbyterian Church of Taiwan and Eastern Orthodox Church. 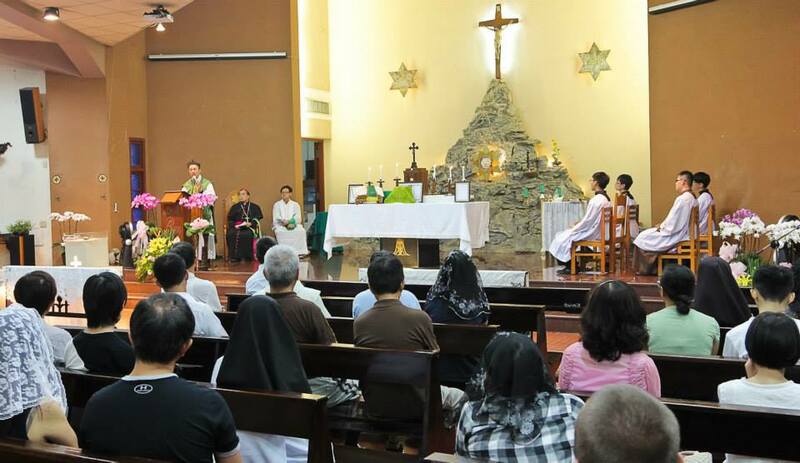 Religious from the Carmelite Missionaries and Sacro Costato Missionaries were also present. The group would like to thank the Bishop of Hsinchu, H.E. 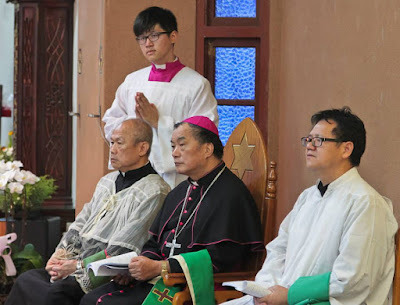 John Baptist Lee; the Bishop emeritus, James Liu; Fr. 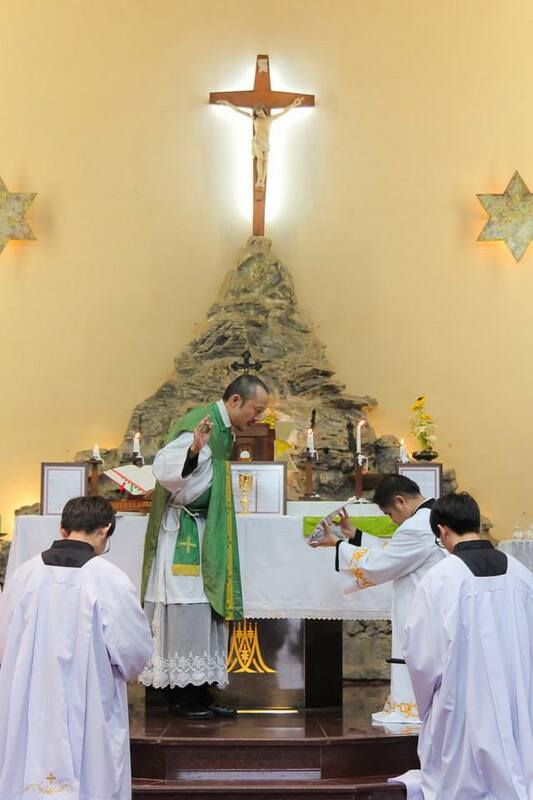 Sinwee Chin, O.C.D., parish priest of Our Lady of Mt. 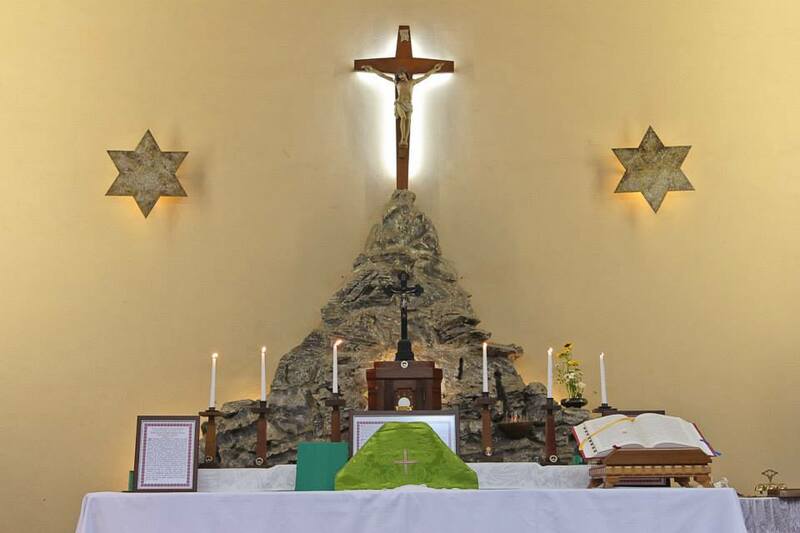 Carmel Shrine; Fr. 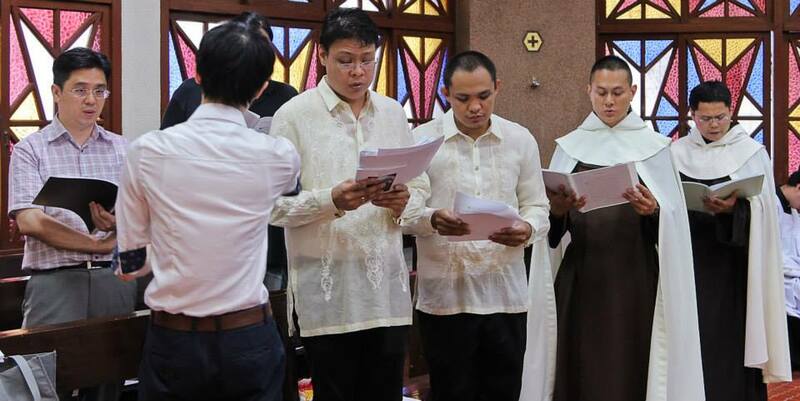 Jerome Guevarra, S.J., the celebrant, Fr. Bai; Mr. Pak Sing Chan and Ms. Anabelle Lam of the Tridentine Liturgy Community of Hong Kong; Prof. Tien Ming Pan and Prof. Lionel Hong of the Fujen Catholic University Music Department, and the Order of the Discalced Carmelite Friars.